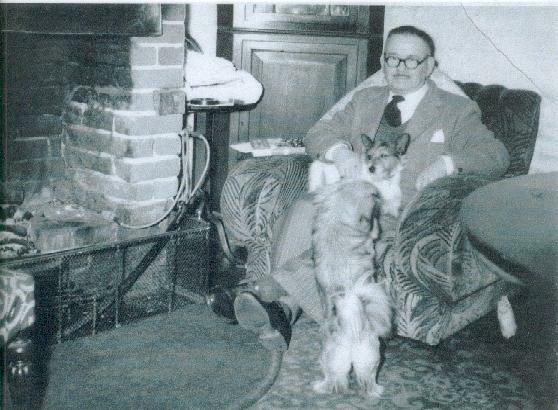 The Bentley family had lived in Arborfield for over two centuries, occupying Magnolia Cottage and Whitewell Cottages. Before the age of the car, they were wheelwrights, but they eventually opened the local Garage. The family got involved in local affairs, being both on the Parish Council and the Church's Parish Council. Census details show that part of the family moved away in the late 1800's although they continued to own land in the village. The 1841 Census lists William (45) and Lucy Bentley (39) with their children William (18), Thomas (15) and Samuel (4). William senior was a Wheelwright. By 1851, his widow, by now a schoolmistress, lived with her eldest son William, who had taken over the business as a 'Wheelwright and Smith'. His middle brother had gone into bricklaying. By 1861, William and Samuel lived in one house while Thomas and his mother Lucy lived two doors away. However, by 1871, there was no trace of William and Samuel. Instead, William Vincent from Gayford in Somerset had taken over as a 'Wheelwright Master employing 6 men and 3 boys'. Were the Vincents related to the Bentleys? We don't have any proof - yet. Thomas Bentley had married Ann (then aged 44, from Alresford), and continued as a bricklayer. Their sons William Henry and George were 8 and 6 respectively. The 1891 Census still only lists one Bentley household, though around this time, more Bentleys were eligible to vote based on their property rights even though they lived elsewhere. Thomas and Ann were retired, and son George, by now 26, still lived with them adjacent to the Vincents. By 1901, three Vincents were listed in the census, but it seems that William was temporarily somewhere else, since there is no 'head of the household' listed. The Vincents subsequently moved away from the village to run their business from Reading. George Bentley had married Alice, 8 years his junior, and they had two sons William (4) and Arthur John (1). 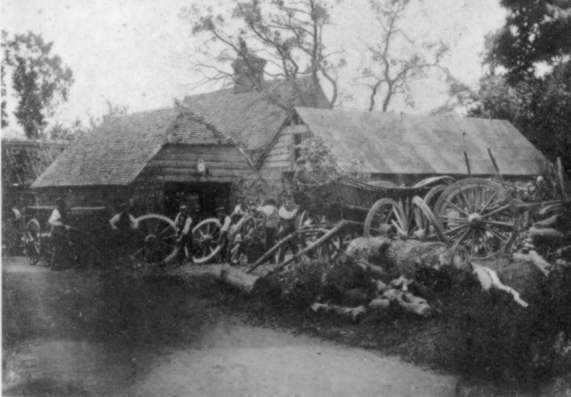 The Wheelwright's business had stores and workshops across the road from Magnolia Cottage, adjacent to 'Sunrise', as seen here. George Bentley started Arborfield Garage. He lived in Magnolia Cottage while his sons lived next door in the two Whitewell cottages. 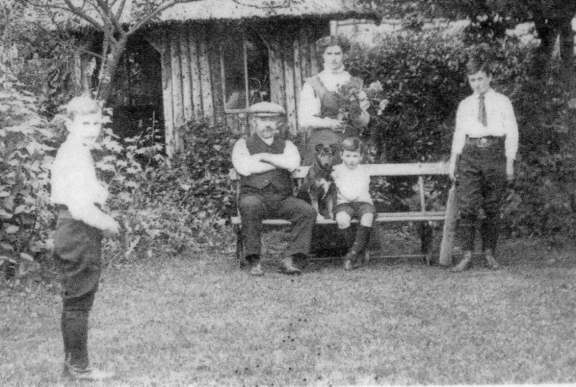 Here is a photo from about 1910 of George and his family in the back garden. George died in 1916. 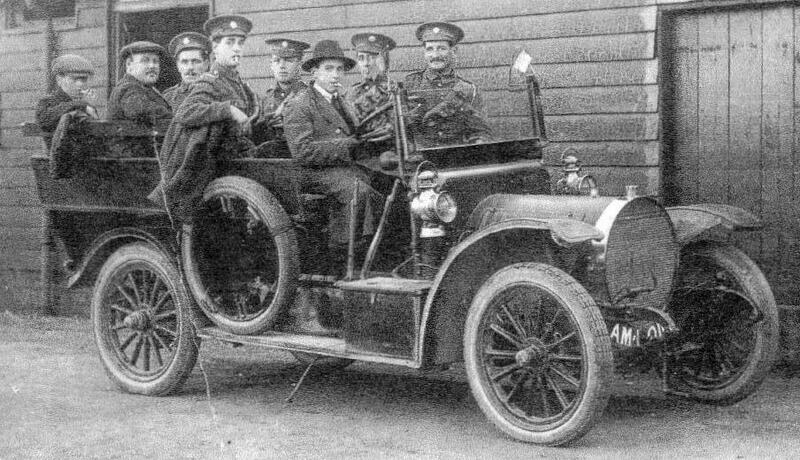 John Bentley - probably the second youngest in the above photo - is shown here as the driver of a vehicle used during the First World War at the Remount Depot. Was it the Bentley's own vehicle? We have two more recent photos of a George Bentley from a younger generation, firstly with his wife in front of Magnolia Cottage. The second shows George sitting by his fireplace at Magnolia Cottage. George was thanked for his help in charging up the accumulators that provided the power to illuminate the Chancel of the Church in 1942 - see the P.C.C. Minutes here. William Bentley ran a Market-day and Cinema coach service to Reading in the 1920's in competition with the Thames Valley Traction Company. The Parish Council supported the village's own service in preference to that provided by the larger company. Robin Bentley was the last family occupant of Magnolia Cottage until he sold out in 1968. In the story by Guy Bentley, "Arborfield Street 1910", the front room was a doctors’ surgery. Whitewell Cottages appear to have been built around 1870 to 1880 (by Thomas? ), and were later the homes of Guy and John Bentley. The doctor’s surgery moved into the extension of the cottage nearest Magnolia. The cottages were pulled down in the late 1960’s to make way for Whitewell Close. 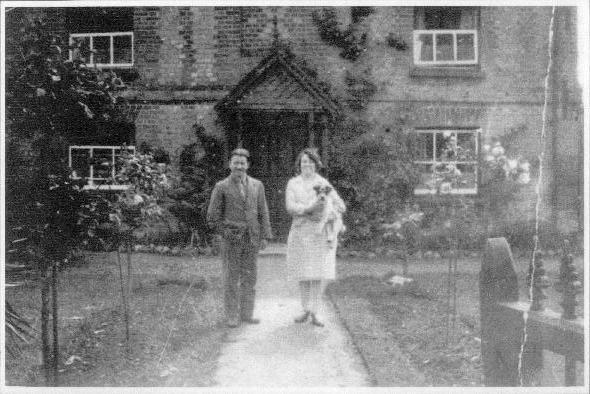 Guy and Nell Bentley eventually moved out of their cottage to live more or less on the same site - in Whitewell Close. Guy provided a fascinating glimpse of village life from 1910, which you can read here. 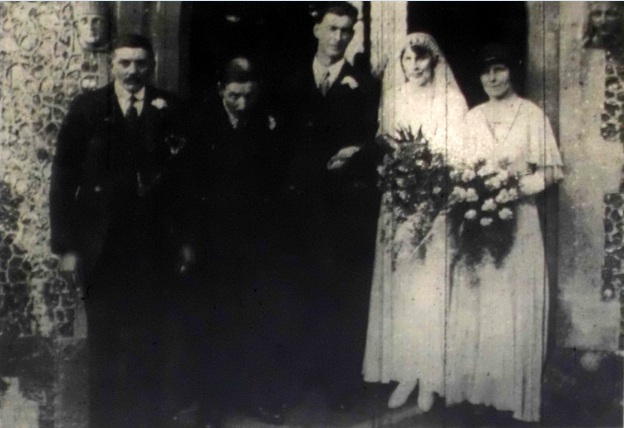 Although the Marriage Registers were stolen in the 1970's, we did have the approximate date of Guy and Nell Bentley's marriage from the Register of Banns from 1929 onwards. Samuel Guy Bentley and Ellen Louisa Smith, both 'of this parish', were married at Arborfield Church at the beginning of 1933; their first Banns was on January 1st. We now have a newspaper report of their wedding on 21st January - see below. Nell served on the P.C.C. and the Deanery Synod for many years, while Guy was on the P.C.C. John Bentley, who served on the Parish Council from 1945, died in 1956. His funeral procession can be seen by clicking here. Many thanks to the Bentley family for providing these photos. 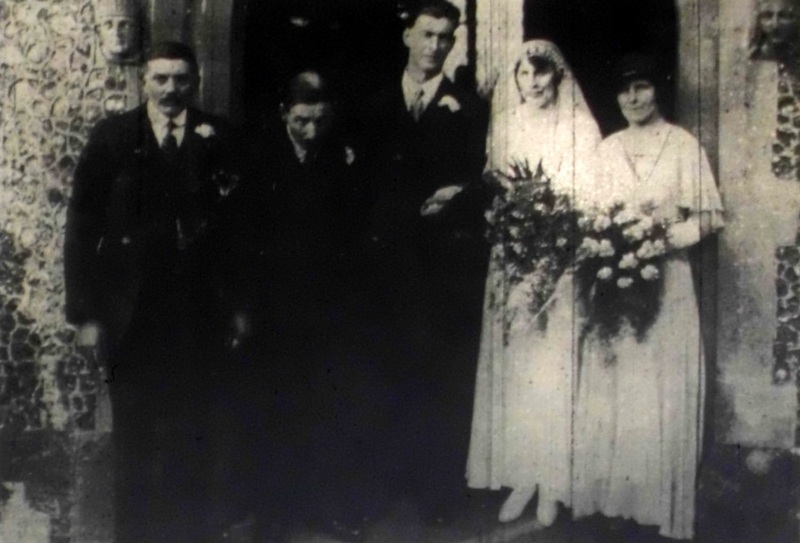 The wedding took place on Saturday last week, at Arborfield Church, of Miss Ellen Louisa Smith, daughter of Mrs. A. Smith , of 4, Council Houses, Arborfield, and Mr. Samuel Guy Bentley, son of Mrs. A. Bentley , of Arborfield. The Rev. Canon J. A. Anderson officiated, and the service was choral, the hymns being “The Voice that breathed o'er Eden”, and “Lead us Heavenly Father”. The bride was given away by her uncle, Mr. F. C. Treacher, and she wore an ankle-length dress of ivory angel skin suede, shoes to match and a veil with a wreath of orange blossom. She carried a bouquet of cerise carnations and white Freesia. There was one bridesmaid, Miss Annie Smith (sister) who wore an ankle-length dress of turquoise, blue georgette, black hat and black suede shoes. Her bouquet consisted of pale pink carnations. The best man was Mr. A. J. Bentley (brother of the bridegroom). A reception was held at the Village Hall, where a large number of guests attended, followed in the evening by a dance. Bride's mother – Linen, wedding cake, etc. Bridegroom's mother – Bedroom suite, etc. Bridegroom to bridesmaid – Crystal necklace. Miss A. Smith – Two trestle chairs. Mr. H. Smith – Kitchen utensils.